His Majesty the King graced the final day of Paro Tshechu and offered prayers before the Guru Thongdrel yesterday. His Majesty also met with the people gathered at the festival. Thousands of people from in and around Paro gathered early morning to catch a glimpse of the unfurling of Guru Thongdrol and receive blessings. The thongdrel is unfurled as early as four am. 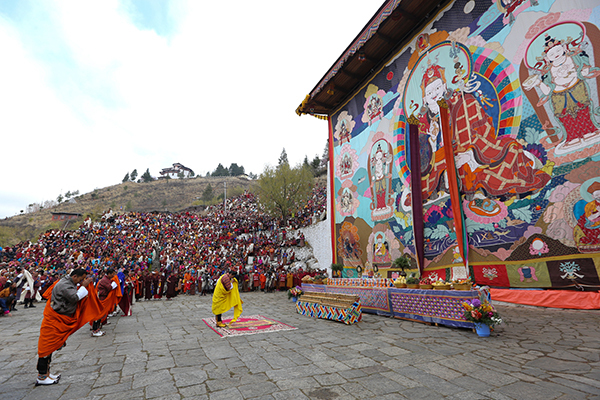 Paro Tshechu is one of the biggest and popular festivals in the country. The five-day tshechu attracts thousands of people including tourists every year.